It is done by sattva (and sattvic activities), using one's intellect and being very much watchful, among much else. (Ibid.) And what is sattva? It stands for such as balanced, harmonious, holistic kindness; holistic and positive constructiveness; getting or adhering to what is luminous, peaceful and virtuous. Many of these basic sattvic elements may be combined or intertwined too. To adhere to "sound and virtuous living" will be one recommendation, then. (Also see Wikipedia, "Sattva"). If though meditation we become more lively, very merry and younger-looking, then we could also need to avoid getting caught - just like beautiful ladies who don't want to fall for their attractiveness. Appearances matter a lot. For first-class meditation techniques to work well, they depend on proficient handling too. The single experiences may not be typical of what most people experience. Our brains produce electrical impulses that travel throughout our brains. These electrical impulses produce rhythms known as "brain waves," that can be measured and recorded throughout all parts of the brain by an EEG (Electroencephalograph). Awareness can be shifted by altering your brain wave patterns, and there are meditation techniques for it. As a result of using them, you can get more relaxed and think more efficiently, for example. Automatic self-transcending, which includes techniques designed to transcend their own activity. Examples: Vedic (Transcendental Meditation), Chinese (Qigong). Cognitive processing and different states of mind are linked to different brain wave patterns (energy patterns). Five main patterns are delta, theta, alpha, beta and gamma waves. 1. Delta waves range from 1 to 4 Herz (Hz), which means there are 1 to 4 electrical discharges in the brain every second. Such waves occur most regularly in deep sleep. Also, loss of body awareness is accompanied by delta waves. 2. In theta waves (4-7 Hz) occur in dream sleep along with alpha waves. Theta waves indicate readiness to process incoming signals. They are manifested during short term memory tasks, and also commonly linked to enhanced levels of creativity, emotions, and spontaneity. During theta waves we may possibly better recover our long-term memories, repressed memories or repressed emotions. 3. Alpha waves (8-12 Hz) are divided in two variants: Slow alpha, also called alpha 1 (8-10 Hz), and alpha 2 (10-12 Hz), relaxed and alert alpha. Alpha brain waves are associated with meditative states, visualization, and idleness of your optical system. Each time you daydream, relax, or close your eyes, alpha activity increases. Alpha brain waves are commonly observed in the rear parts of our brains, while less common in your frontal parts. When we wake up and open our eyes in the moring, alpha brain waves decrease. Alpha brain waves link the conscious mind with our subconscious.These electromagnetic oscillations are typically produced when we are awake, relaxed and not mentally strained, and nor actively attentive of anything. Alpha waves predominantly originate from the occipital lobe at the back of the brain during wakeful relaxation with closed eyes. 4. Beta waves (12-30 Hz), or beta rhytms, may occur when you concentrate actively, or listens carefully. Beta states are associated with normal waking consciousness - with such as active, busy, or anxious thinking and active concentration. Beta waves are divided into three sections: Low Beta Waves (12-15 Hz), Beta Waves (15-18 Hz), and High Beta Waves (19 Hz and upwards). Beta brain waves are at work when we focus, analyze, perform calculations, or think about your external environment. Too much beta brain wave activity in the right hemisphere of your brain is linked to anxiety, tension, and worry. And beta brain wave increases may be of benefit to you if you are depressed. High beta brain waves are associated with fear, anxiety, excessive thinking, rapid thinking, addiction, and states of peak performance. 5. A gamma wave is a pattern of brain waves with a frequency between 25 to 100 Hz. The gamma wave has a role in attentive focus, also called conscious attention. Gamma brain waves cycling at 40 Hz are associated with problem solving in both adults and children. Gamma brain waves are known to aid you in learning and mental acuity. The 40 Hz rhythm can be observed throughout your entire brain; it is not found in one specific area. The wave seems to originate in the thalamus, and then sweeps the brain from front to back. Experiments on Tibetan Buddhist monks have shown a correlation between transcendental mental states and gamma waves. In addition to how fast the brain discharges (oscillating waves) are, how strong they are and how well synchronised the brain gets during the time that various wave patterns predominate, counts too, and so do accumulated/developed meditation effects over time. Focused attention, characterized by beta/gamma brain waves, included meditations from Tibetan Buddhist, Buddhist, and Chinese traditions. Open monitoring, characterized by theta activity, included meditations from Buddhist, Chinese, and Vedic traditions. Automatic self-transcending, characterized by alpha1 (slow alpha) activity, included meditations from Vedic and Chinese traditions. The authors note that a single type of meditation might fall into different categories, depending in part on the length of time the subjects had practiced meditation, and how well mastered or automated it gets. It would be a mistake to think all kinds of meditation works in the same way. There are many different techniques of meditation, and different techniques (methods) have different effects on the brain waves, on the mind, and on many other sides to being human too. A review (and article) of the Travis and Shear study that outlines differences among types of meditation, "Focused attention, open monitoring and automatic self-transcending: Categories to organize meditations from Vedic, Buddhist and Chinese traditions," appears in ScienceDirect, available online from 18 February 2010. Divulge a fair Way (method, techniques) to unfit others and face the consequences: good, bad or sort of middling. Should the good thing be divulged to friends and mates? Well, discretion is not bad. And as with tanning, a little exposure may be all right, while much of it may harm your skin. Other factors can come into play too. Consider effects to be had (1) in the first part, (2) along the middle part, (3) and in the end" of a project or undertaking. Events, "things" and persons have a front/beginning; a middle span of occurrence, and an ending not to ignore completely. Ask in each phase: "What is it likely to lead to?" and you may get better off. Example: Something (a phenomenon) may be quite good at first, somewhat good in the middle, but turning bad in the longer run, and maybe bring insolvency, degeneration. It could work well good to take the long-run effects of things into account as soon as possible, in order to manage our lives much better. Buddha's teachings: He tells his teaching (Dharma) is excellent in the front, in the middle, and in the rear. Opposed to such a good thing, many phenomena seem good at first, may be so-so later, and turn destructive at last. It is best that a thing works well in the start, well in the middle stretch, and very well in the long run (in the end too) in the long art of living. The art of living consists in finding and sticking to what works well in the beginning and throughout, or for as long as needed. If not, for the lack of such "items" of living, one had better check carefully now and then so as not to succumb to derangements and a nasty life. Example: An "unusually safe drug" . . . Even though a beginning may look good and work well for ten years, and "all the people" think it is something wonderful, consider carefully what happened to pregnant women who got thalidomide around 1960. Thalidomide was a sedative that seemed to be unusually safe, with few side effects and little or no toxicity even at high doses. Further testing revealed that thalidomide was particularly well suited to alleviating nausea and other symptoms associated with morning sickness in pregnant women. The drug went on the market as a treatment for morning sickness in more than 40 countries, beginning in 1958. This was "of the beginning". The harmful effects on the foetuses of various mammals was not recognized during testing. Thalidomide produced severe malformations and defects in an estimated 5,000 to 10,000 infants. Once these effects became known thalidomide was taken off the market in 1961-62. In other words, the "middle-stretch goings" was not good. The third phase - the end phase" is one of compensations for damages done, and troubles. So, a facade and first part of a "thing" - a happening, event, a drug, and so on - may look good, and even be tested scientifically, like thalidomide. However, long-range effects on foetuses and the like, were not discovered before it was too late for many, many victims. It might get dangerous to overlook that nice point. We may do ourselves a good turn in not overlooking or not forgetting to take into account possible middle and end phases too. A thing or meditation method is truly good, helps both in the beginning, in the middle, and in the end - that is, it has a beneficial effect along the road. We could do well to go for equipment and methods and other stuff that work like that too, neither overdoing or "underdoing" anything. Sporadic (anecdotal) evidence from single persons do not count much in sciences that count on statistical averages of large numbers. While you are meditating (contemplating deeply), make a point of keeping the spine straight, yet relaxed, and proceed as best you can. Forcing oneself tends to put on brakes deep within the mind: You probably forced yourself for some time if you get tense. Rotate the shoulders, neck, and other parts of your body, stretching and flexing calmly and with ease; that could offer temporary help before and maybe during a sitting. Getting up and taking a walk could help too, but what about taking a wife or husband? Mating breeds a lot of stress that good mates help one another solve, while bad mates do not - alas. We may practice gentle awareness of what we are doing, in any case. One may easily be undermined. A short sitting (in meditation too) between other doings often helps. Some benefits of TM may be realised quickly, others over months or years: they may accumulate. Meditating deeply tends to be a developed "fruit" of regular, careful and solid meditation practice. The practice can deepen in time, and give increased benefits. In short: Sanskrit for duck and goose is hamsa, also spelled hangsa (Frederick Pargiter 1904:30n). Others translated hamsa into 'swan'. 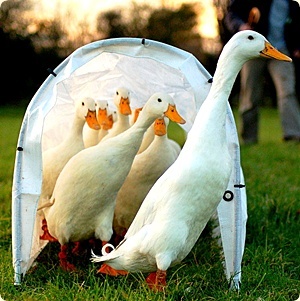 And swans, geese and ducks are close relatives. "Some move with Duck Sounds to the other side of a tunnel, as you can see." Reflect on what is good in order to accomplish something. Tantra uses rather figurative language, where "things may and may not be as they appear", or "things are as they appear, yet also contain deeper meanings". There are many treatises on tantra. Tantra plays a significant part in Hinduism and Buddhism. Buddha advocates awareness of the breath. There are other methods too. What is done in the private sphere is usually surrounded by a shell of a sort - a house or an apartment may do. There is also help in much discretion. That granted, practising duck sounds and heart-warming love-making may not be low. The short of it: If you stand out, the need for protection tends to grow a lot. Being forewarned helps a lot in its way too. 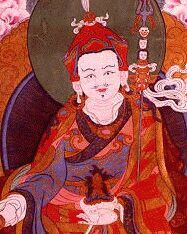 Guru Rinpoche is regarded as the founder of the Buddhist Nyingma lineage. 3. Sensitive persons need to practise many forms of art very delicately, for the sensitive ones may suffer more than insensitive guys. "It has been estimated that 75 - 90 percent of all visits to primary care physicians are for stress related problems," writes ◦Paul J. Rosch, MD. [Source]. Great gurus have offered help to meditate and gain in so many ways from life. Phenomena can have a front (facade), and a first phase, a middle phase, and a final phase. It matters not to be all taken in by facades and even great first results, but on your guard. Good things in life are excellent though the three phases. They can be hard to find, especially by single person's endeavours. Getting attuned to gentle nature and bulwarking for it may be fine. Figurative expressions from many traditions allow for being interpreted in different ways and for being taken in by surface spectacles. Pargiter, Frederick Eden, tr. Markandeya Purana. Calcutta: The Asiatic Society, 1904. Shastri, J. L., ed. Brahma Purana: Part 3. Delhi: Motilal Banarsidass, 1986.